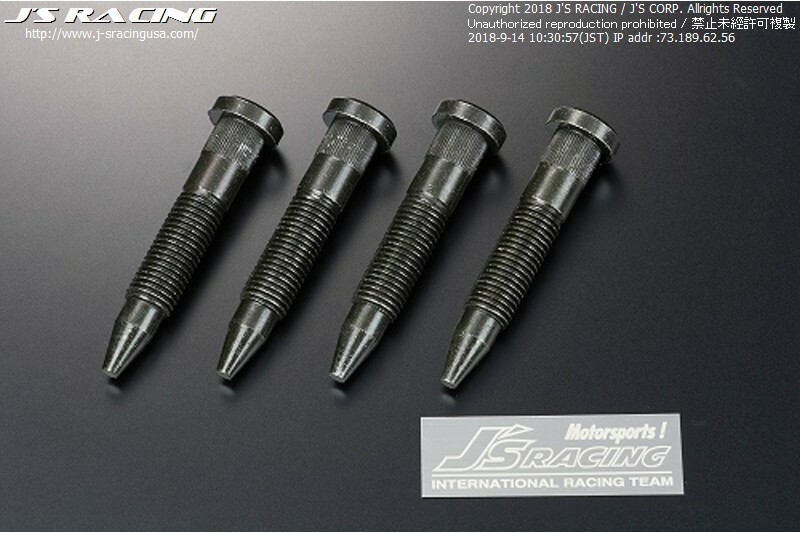 Designed for the Super Taikyu Racing (Super Endurance Race Series). Tapering the tip of the bolt makes it easier to use an impact wrench and to change the tires. At the same time, it prevents costly mistakes while changing the tires on a race. Made of chrome-moly (SCM435)?with a special heat treatment application, the material provides the superb strength. From the street to the racing, this is a must-have item for getting an edge over the competition. A volume discount will apply for the purchase of more than 10. Please contact our dealer or J’s Racing USA. The price is for one bolt. It is designed for the Honda vehicles with open end lug nuts. Please apply the correct tightening torque.